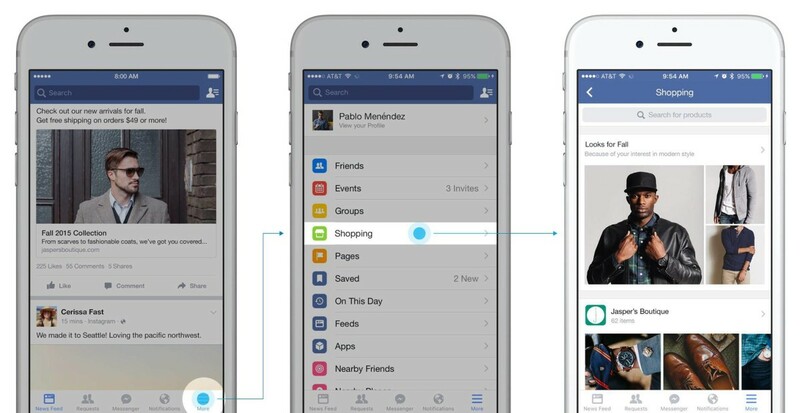 Facebook is adding a shopping section to its social network as part of test for a big e-commerce push. Unlike the product ads you probably ignore on your News Feed, this is a dedicated tab on Facebook – like ‘Groups’ or ‘Photos,’ meant just for shopping. In other words, Facebook wants you to purposely use its platform for shopping, rather than simply maybe clicking on the occasional ad. As you might expect from a company that feeds off your data, the products are catered to your interests. That said, only a small group of retailers – and they must have signed up for Facebook’s Product Pages at the very least – will be able to list their items, and the trial is currently limited to a small set of test users. Meanwhile, the company is also offering an update to its mobile canvas ads platform, which show full screen snippets of an advertiser’s website when you click on them from your News Feed. These ads will now support buyable products as well. Facebook is clearly expecting people to eventually do much of their shopping via social networks. While the company calls both of these updates tests, many – if not most – Facebook tests tend to eventually resurface at some point or another.